Heating accounts for between 48 and 69 percent of the total home energy use in 24 of the 28 EU countries. According to new evidence from the European Building Automation Controls Association (eu.bac), energy use could be reduced significantly if homeowners would replace uncontrolled, manual radiator valves with thermostatic radiator valves that automatically adjust the heating to the pre-set level. The eu.bac study estimates that about 500 million uncontrolled valves are still mounted on radiators in homes across the EU, wasting energy and money year after year. “When a radiator uses an uncontrolled valve, it runs non-stop, even when the room has become warm. A thermostatic radiator valve can be set to heat a room to the required setting efficiently and without compromising comfort. Once the room temperature reaches that setting, the valve turns the radiator off. When the room temperature drops again, the thermostatic valve turns the radiator back on again. It is a technology that has proven its worth for decades,” explains Anders Barkholt, Vice President, Residential Heating, Danfoss. This kind of thermostatic radiator control means homes stay warm without wasting energy e.g. when the windows have to be opened to let out excess heat. In this way, homeowners can save money while increasing comfort at all times. Thermostatic radiator valves also hold an enormous energy saving potential for society as a whole. Eu.bac has prepared a detailed country-by-country analysis based on data from the European Environment Agency on energy use and heating costs in EU homes. The study concludes that EU citizens would save a staggering €12 billion annually and reduce CO2 emissions by about 24 million tonnes if all of the 500 million radiators with uncontrolled valves in the EU were upgraded with thermostatic radiator valves. The estimate is based on an average energy saving of 18 % when installing a thermostatic radiator valve, a conservative figure that can turn out to be significantly higher. “When it comes to home energy savings, the performance of the heating system matters a lot. Using thermostatic radiator valves is an inexpensive, no-regret solution to achieve comfortable and healthy homes at minimum costs. Since the purchase price of the thermostatic radiator valve is similar to uncontrolled valves, it seems obvious that every radiator should have a thermostatic radiator valve,” says Stephan Kolb, Head of Industry Affairs, Heating at Danfoss. Considering the full installation cost, including work, the eu.bac study shows that the average payback time on thermostatic radiator valves is just two years. The payback time compared to the typical lifetime of a high quality thermostatic radiator valve, e.g. 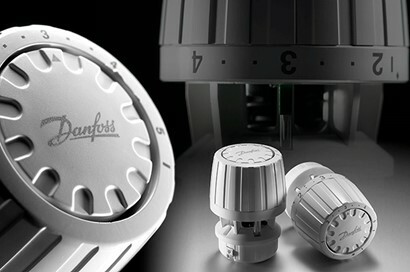 a Danfoss valve with a lifetime of minimum 20 years, demonstrates that the potential savings once installed are huge. “The energy savings with thermostatic radiator valves is good for homeowners’ wallets and for national economies and ultimately for the fight against climate change,” says Anders Barkholt. A new report shows that for about 70 million European households, energy costs could be reduced significantly by upgrading heating systems with basic thermostatic radiator valves.